In “The Blonde Tigress,” Heller encounters a vicious hold-up crew with a brutal female leader, while in “Scrap” he investigates a union shooting that has national implications. In “The Perfect Crime” he goes Hollywood to protect the lovely Thelma Todd, with tragic results. The private eye finds himself tangling with notorious mobster Mickey Cohen in a “Shoot-out On Sunset” and with Al Capone’s successor, Frank Nitti, in “Screwball.” Heller’s friendship with Eliot Ness finds the two men working together in both “The Strawberry Teardrop,” in which Heller encounters America’s first serial killer, and “Natural Death, Inc.” Heller tackles each case with his trademark cynicism and humor, digging into the grimy underbelly of twentieth-century America to uncover the truth at any cost. 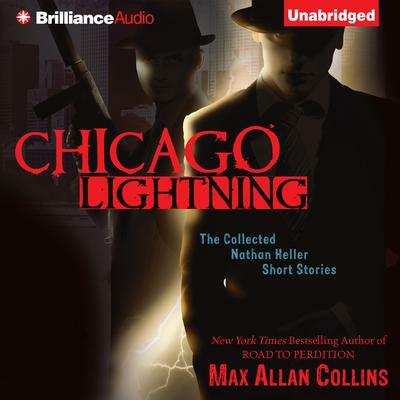 Tough, cynical, and clever, Nathan Heller has been called “the perfect private eye,” the best investigator that Chicago (where ‘lightning’ means gunfire) has to offer.